Each pack has 42 edible mini buttfly wafer decorations in beautiful packaging. Look at those vivid colours. 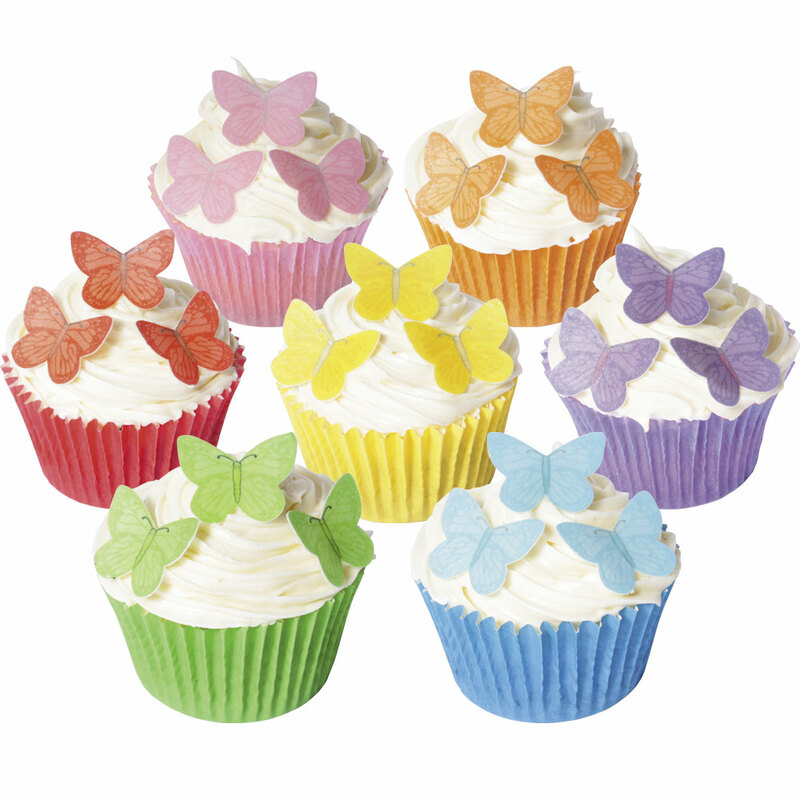 These small edible wafer butterflies are just right for any cupcake or cakepop or any cake! Such great value too - 42 assorted vivid coloured butterflies in a pack. You can download a product specification sheet for this item by clicking here.